In this wireless communication era, the antenna acts as the subset. 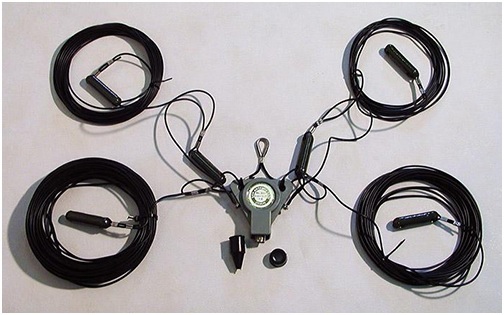 Antenna is an interface connecting radio waves propagating through air and electric currents flowing in metal conductors, used with a transmitter or receiver. In transmission, a radio transmitter supplies an electric current to the terminals, and the antenna radiates the current as electromagnetic waves. At the receiver end, some power (radio wave) intercepts to produce an electric current which is amplified by the receiver. This makes antennas are crucial components of all radio communications. Broadband services are considered popular and advanced amongst wireless technologies. Antenna acts as the input and output interface for wireless equipment. The smart antenna in a base station can send independent information to terminals spatially using the same frequency at the same time. The space beam is generated by using the space division multiple access (SDMA). The important technologies in antennas are achieving high-gain, high-efficiency and multi antenna system. It is not surprising that the military community want to leverage this swiftly growing capability to address its own communications requirements. Log-periodic antenna is the log-periodic dipole array (LPDA), The LPDA consists of a number of half-wave dipoles driven components of gradually extending length, each consisting of a pair of metal rods. The dipoles are positioned close together in a line, correlated in parallel to the feedline with alternating phase. Electrically, it simulates a series of two or three-element Yagi antennas connected together, each set tuned to a different frequency. Wire antennas are also called as linear or curved antennas. 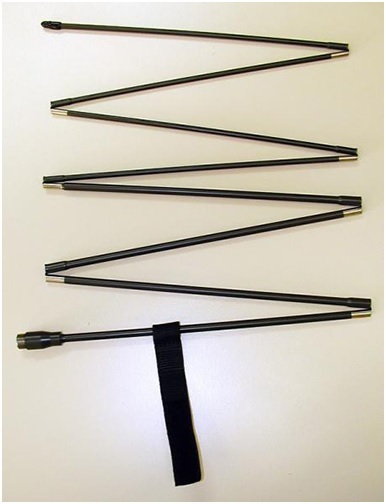 These antennas are simple, cheap and are used in a wide range of applications. 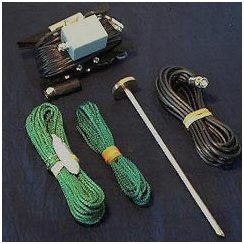 The following are the few examples of the wire antenna products. A microwave antenna is a physical conveyance device used to transmit microwave transmissions between two or more locations. In addition to broadcasting, antennas are also used in radar and radio. 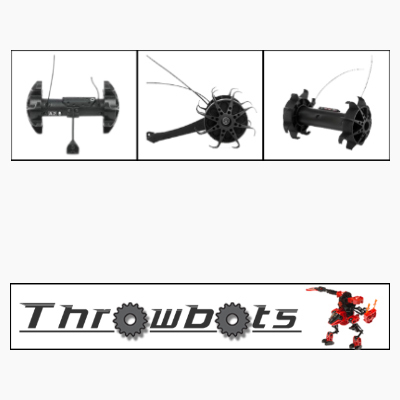 This includes the following products. An antenna reflector is a device that reflects electromagnetic waves. 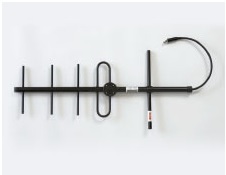 Antenna reflectors can exist as the only device for redirecting radio frequency (RF) energy or can be integrated as part of an antenna assembly. 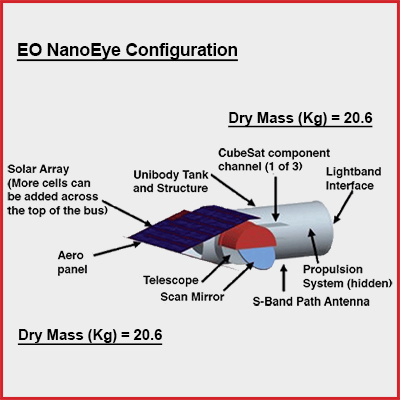 • One of the important parameters of an antenna is its gain. This progress is termed as sensitivity in a particular direction. The higher the gain, the larger its ability to pick up weak signals. • All cables lose some signal - the loss depends on the quality of both the cable and connector. 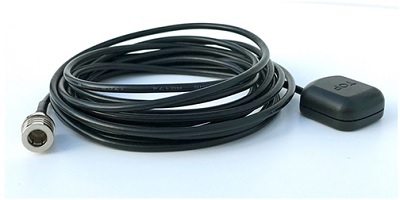 • The thicker and less flexible cables reduce signal loss, cables usually have plenty of layers designed to insulate and protect the inner core from outside noise. • Consider all metal parts are galvanically protected or made of corrosion resistant materials which enable long life and high reliability. 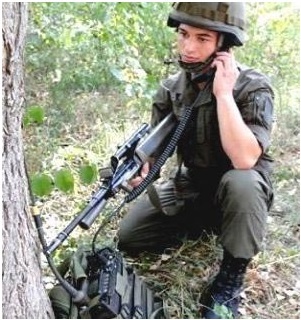 • Ensure antenna is electrically optimised for all exploitation conditions (radio in hand, in the pocket, at the chest etc.). • Have a glance at VHF (Very High Frequency) and UHF (Ultra High Frequency) frequency features which are desirable for many uses in urban areas. • Epoxy, polyurethane, parylene and benzo-cyclo-butene (BCB) made from various formulations of polymers, or synthetic materials are used as a coating to achieves specific properties in radio frequencies. Orbit Communications Systems Ltd. is focused on precision tracking-based communications in the areas of mobile satcom, tracking & telemetry and ground stations and provides an innovative solution for airborne audio management. 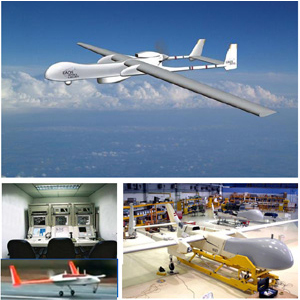 With certification by defense, government and commercial agencies, we deliver tailor-made, turnkey solutions in the air, at sea and on land. Orbit’s unique combination of smart design, high reliability and field-tested experience means that if you can conceive it, we can provide it. 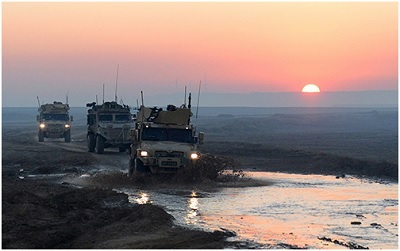 An International company Comrod designs and manufactures tactical antennas, marine antennas, antenna systems, tactical support masts, power supplies & battery chargers and composite utility pole systems. Broadband Propagation has been designing, manufacturing and supplying a wide range of antenna products from MF to Microwave since 1990. 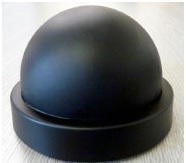 Our company manufactures antenna arrays for Weather Profiling, Ionospheric Sounding and Meteor Detection. In the year 2015 50 years had passed since our first antenna has been made. In all those years the company was changed from small antenna production to dynamic company with wide production and sales program of antennas, antenna masts and accessories for wireless telecommunications. Continuous development of the products and the company assures high technological level of our standard products and quick response on new demands of modern wireless communications. The history of the company TRIVAL ANTENE d.o.o. started in 1965 in the company SVIT Kamnik, when the first antennas were developed and produced from composite materials (polyester and epoxy resin with fiberglass) mainly for the ex-Yugoslavian army needs. 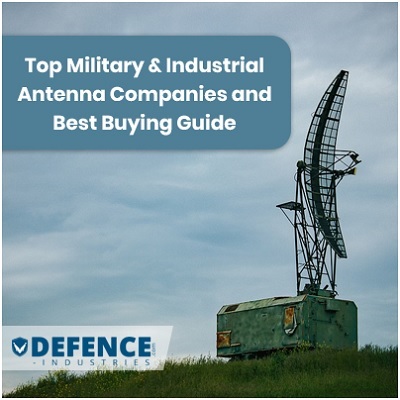 Radiant Antennas, based in Pretoria, South Africa manufactures military and professional HF, VHF and UHF antennas, designed for high performance in the harshest of environments and used in many countries throughout Africa and the world. Specializing in tactical HF and V/UHF antennas, for base station, mobile and man-portable applications, Radiant Antennas has a comprehensive range of antenna products covering all the general military, tactical communications frequency bands. When required, we are able to quickly and efficiently adapt an existing antenna or develop a new product to suite customer requirements.